Welcome to my magical world of books! Thank you for visiting. Children’s books are my life’s work and I am thrilled to share my passion for writing and illustration with you. 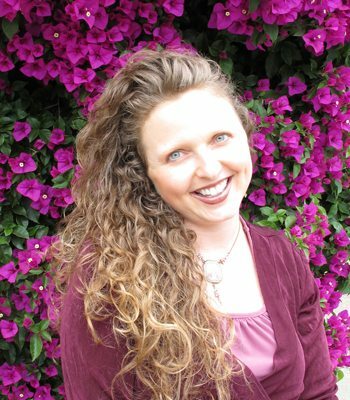 I am a published, award-winning author with Scholastic, Random House and Barefoot Books. My most recent book, ALL YEAR ROUND (Scholastic, 2016), was named “Best New Book of 2016 by The Children’s Book Review. ABC, SCHOOL’S FOR ME, (Scholastic, 2015), was illustrated by Lynn Munsinger and Kirkus Reviews described it as having “rhythms and rhymes (that) are spot-on, and …tackle the tough letters with aplomb.” As a National Board Certified, Spanish bilingual teacher with over 20 years expertise in education, I pour my knowledge of students and experience traveling the world into my books. I am available to present interactive, hands-on, minds-on assemblies and workshops as well as keynote conferences, facilitate professional development days and deliver motivational speeches in corporate settings. Click here to book me for an event at your school, library or conference. I also illustrate in ceramic mosaics. Here are a few upcoming events where you can meet me and see me present. 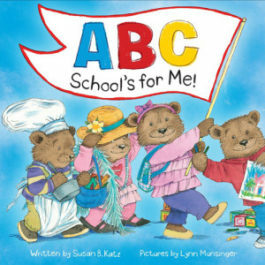 My third book, ABC SCHOOL’S FOR ME (Scholastic, 2015), illustrated by Lynn Munsinger, is a celebration of all things school. Read reviews and pre-order on Amazon.com. My fourth book, ALL YEAR ROUND (Scholastic, 2015), illustrated by Eiko Ojala is available for Kindle now and comes out in hardcover in January 2016. Available to purchase from Amazon.com and Scholastic.com. In 2012, MY MAMA EARTH won the Moonbeam Gold for Best Picture Book as well as being named “Top Green Toy” by Education.com. 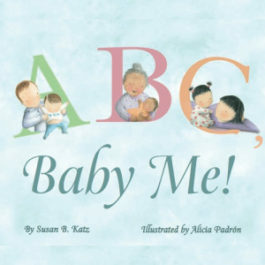 My first book, ABC BABY ME! (Random House, 2010) debuted to rave reviews and sold out of its first print run in under three months. 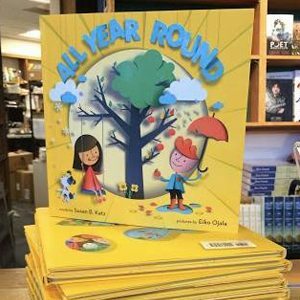 Support a local, independent bookstore by purchasing an autographed copy of ALL YEAR ROUND through Book Passage. Order Here. Be sure to specify that you want a signed copy in the comments field when you check out. Reviews for ABC, SCHOOL'S FOR ME! 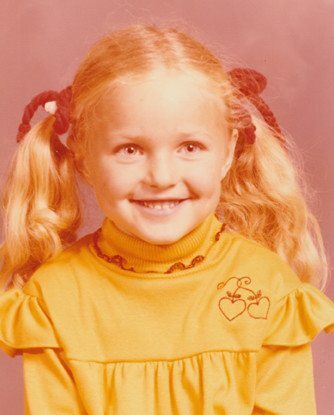 This is my kindergarten school picture. 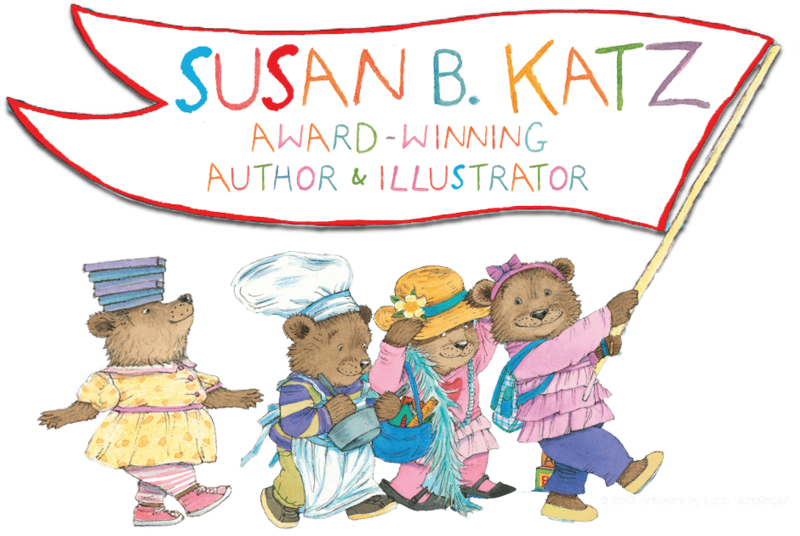 Susan B. Katz is an award-winning children’s book author and seasoned, bilingual, National Board Certified Teacher. She started writing in verse in the fourth grade and continued on to compose all of her high school speeches in rhyme. 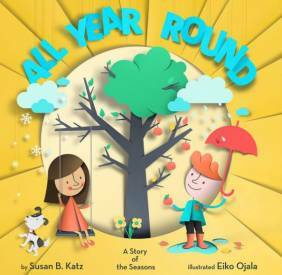 ALL YEAR ROUND (Scholastic, 2016) is Susan’s fourth book. Book Lists says, “Rare is the book that can teach season, months, shapes and colors all at once.” ABC SCHOOL’S FOR ME! 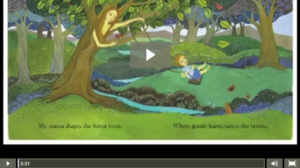 (Scholastic, 2015) is her third book and is illustrated by none-other-than Lynn Munsinger. 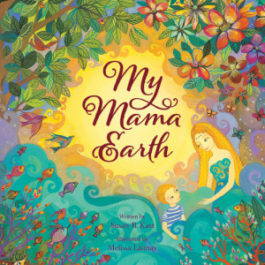 In 2012, her second book with Barefoot Books, entitled MY MAMA EARTH, won the Moonbeam Gold Award for Best Picture Book as well as being named Top Green Toy by Education.com. Susan’s first book, ABC, BABY ME! (Random House, 2010) debuted to rave reviews and sold out of its first print run in under three months. She is thrilled to now be published with Scholastic. Her fourth book is due out with Scholastic in 2016. 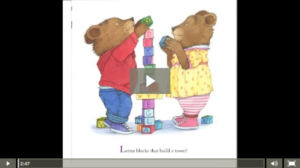 ABC SCHOOL’S FOR ME celebrates all that makes school entertaining and engaging for little ones. MY MAMA EARTH. The students were very inspired to write their own stories. filled with interesting anecdotes. I picked up useful and detailed tips. “Excellent! Filled with practical and experience-tested tips. 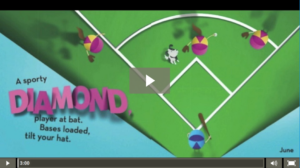 “Susan’s ease with presenting is refreshing and put the audience at ease. “Fabulous presenter and presentation! Excellent and immediately applicable information.